2016 Episode 9 - An Interview with Jeff Wambolt | Rick Whitted | Your Personal and Career Mentor. 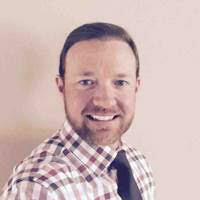 Jeff Wambolt is a real estate entrepreneur in the Denver, Colorado market. HIs is growing a client-based business that gives back to the local community. Prior to real estate, Jeff spent the bulk of his career path in the financial services industry as a senior manager for one of the leading U.S. Banking firms—JPMorgan Chase. During his 15 years there, he grew from a teller to ultimately a regional manager overseeing teams that span 6 states in the Western and Desert Mountain Regions. In his personal time, Jeff is the consummate outdoors man. Being a part of the local community and volunteering is something that Jeff takes pride in. And, outside of work, you will find him camping, hiking, four wheeling and traveling to domestic and foreign vacation destinations. Thanks for stopping by. I would love to talk with you. Feel free to get in touch with me online or send me an email. I will make sure to get back to you promptly. Looking forward to hearing from you! © Copyright 2019. Rick Whitted. All rights reserved. Design by Sharv.in.